A game-winning 3-pointer by Sammy Mejia was all that Tofas Bursa needed to make the 2-1 in the BSL Finals against the defending champions. Sammy Mejia drained a 3-pointer with four seconds left and the score tied to give Tofas Bursa a 91 – 88 home win over Fenerbahce in Game 3 of the Turkish League Finals. This result allowed Tofas to cuts its deficit in the best-of-seven series to 2-1, despite playing minus key players Raymar Morgan and Baris Ermis. Mejia finished with a game-high 23 points plus four rebounds. Kenny Kadji added 21 points and Tony Crocker 20 for the team from Bursa that came back from an eight-point deficit down the stretch to beat the defending champions. Fenerbahce was up 78 – 86 with three minutes remaining when their opponents responded with an 8 – 0 run. 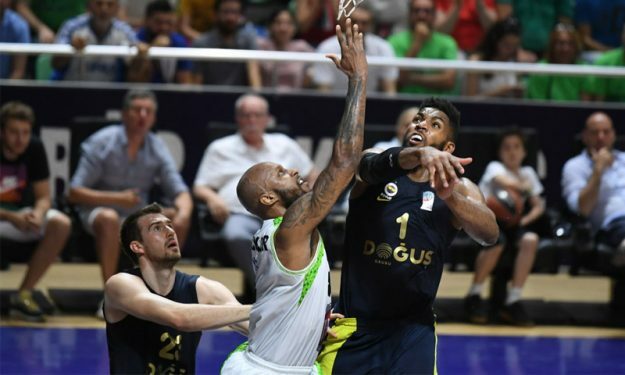 Brad Wanamaker, Fener‘s top player with 20 points plus six assists, scored for the 86 – 88 with one minute left but that was his team’s last points in the match. Pierria Henry tied the game and then Mejia hit the bucket to put Tofas up by 3. Nicolo Melli was off target on the other end and Tofas celebrated its first win in the series.